I’m originally from an island called New Guinea (here are some destinations I wrote from this part of New Guinea ), which is the second biggest island in the world (785,753 sq. km, source). A tropical island in the oceania. Part of the island is an independent country Papua New Guinea and the western side is now part of Indonesia. I was not on the scent of backpacking at all when I was living in West Papua. 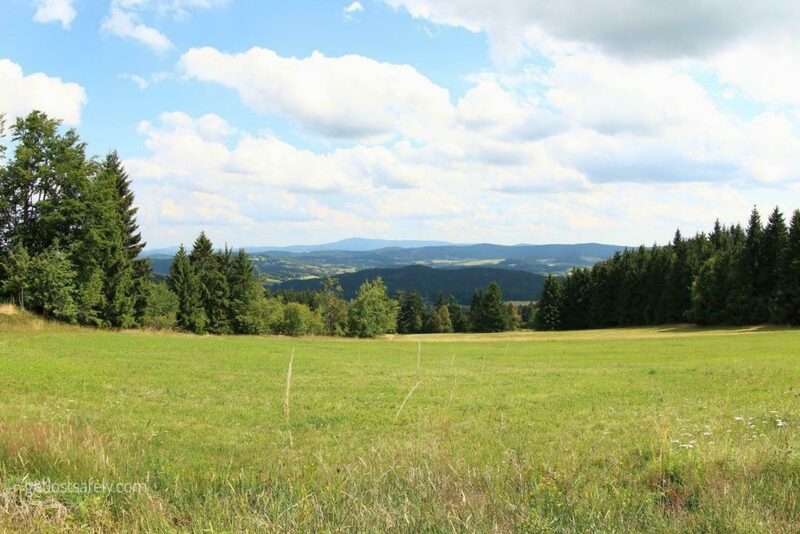 I started to backpack in Czech Republic, or also known as Czechia. 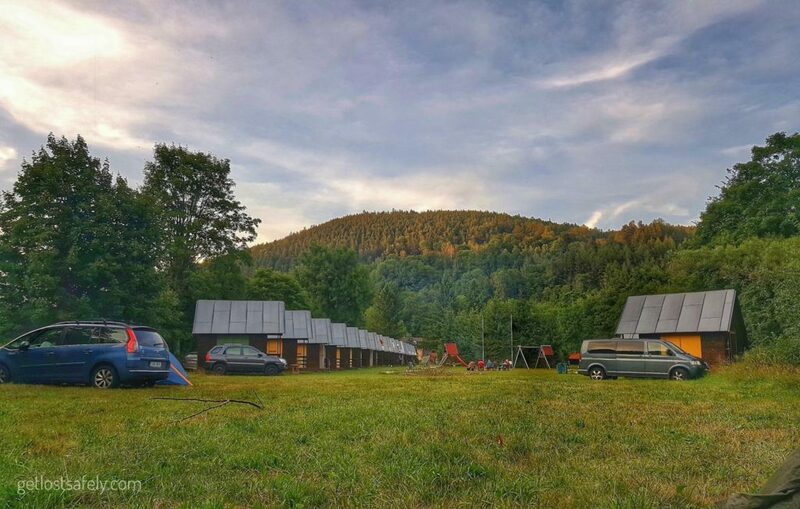 This journey, my first solo backpacking ever was also in Czechia. A beautiful country in the Central Europe. 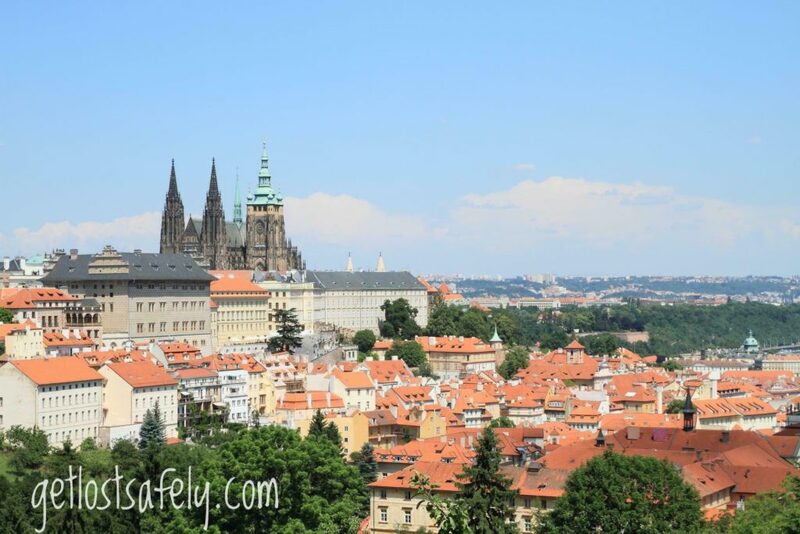 The beauty of the country is undeniable, Prague, the capital city is one of the pretties cities in the world. Not only the architecture and the castles that are lovely, but also the nature. I planned the trip for about a week, I read a lot on how to do solo backpacking. The more I read, the more I got nervous about it. 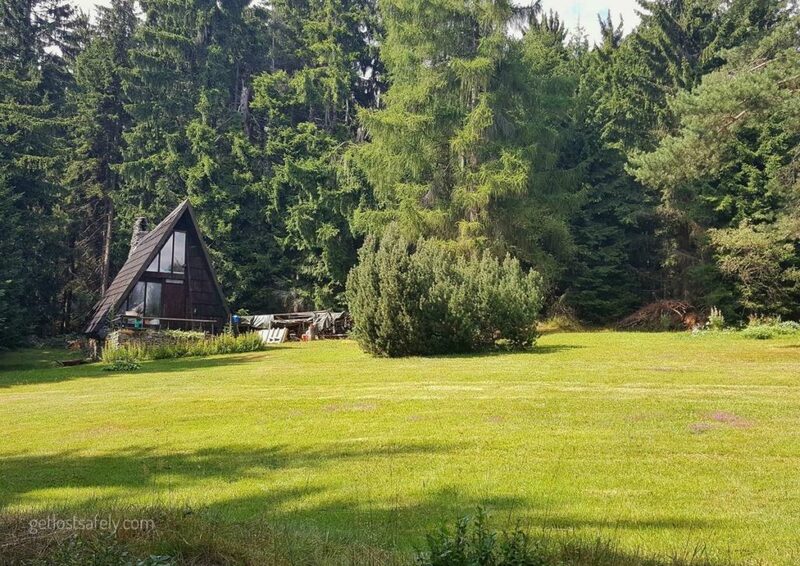 I collected my will and went to my first solo backpacking ever in Czechia, somewhere near by the Sumava National Park. 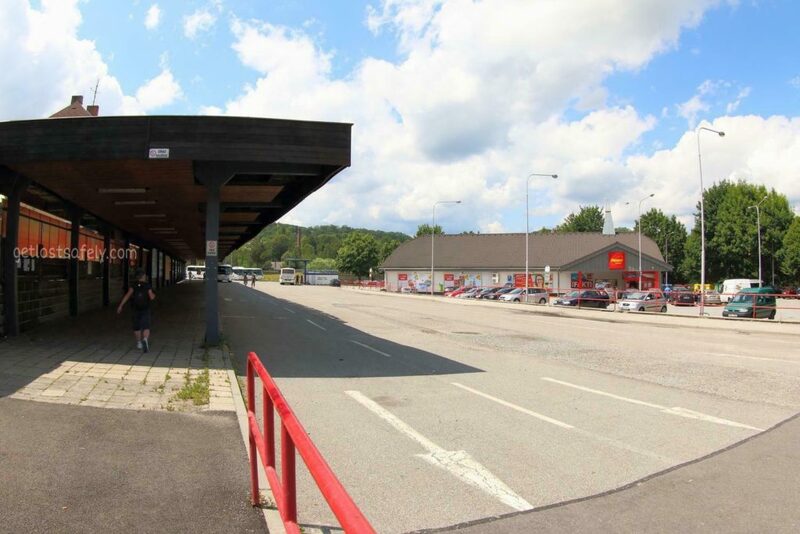 I started the journey by going underground for the subway, heading to the bus station in Anděl. I had problem to find where mx bus was and the timing was tough. But then I nailed it, I arrived just on time. Then I continued to Vimperk, waited for about 2 hours for the next bus and took my first lunch. As I waited, two guys came and were asking me a lot of questions. A girl solo backpacking is not usual in Czech Republic (Czechia) for sure. I guess they were also happy being able to practice their English. It was a bit creepy but they were nice and friendly. In this small city, far away from Prague, English is not widely spoken. But most of people here do speak German thanks to the location which is close to Germany and Austria. 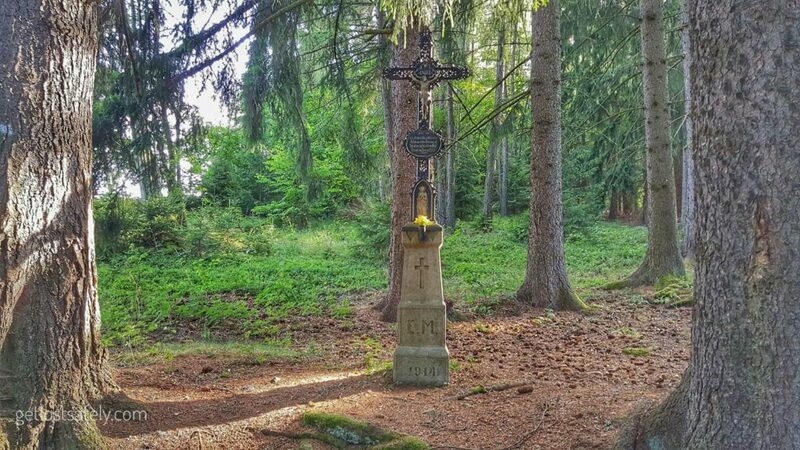 Šumava National Park, a National Park in the South Bohemia Regions of Czechia along the border with Germany and Austria, is located nearby Vimperk. I was actually thinking to do my backpacking through the National Park but the terrain is quite long and camping in the park is allowed just in several places. More people were coming and waiting for the same bus. 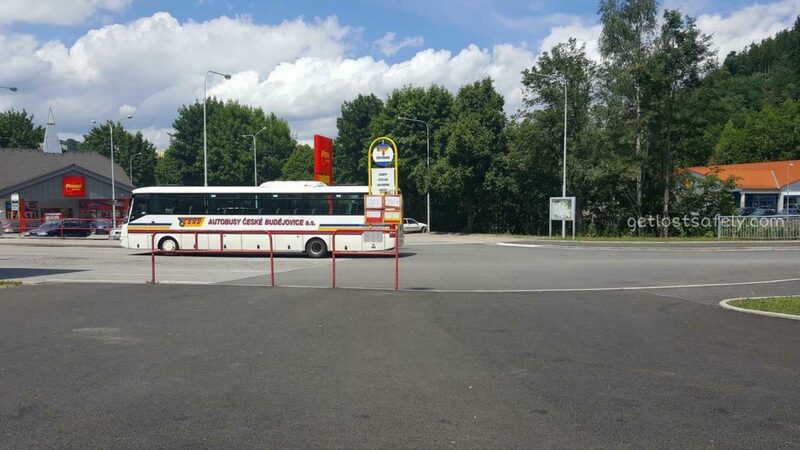 Then the bus came, with my broken Czech language I bought ticket to Vaclov – Tejmlov. I get used to plan a trip and buy tickets online, but on the small villages the online booking system doesn’t work. I sat next by the window, the trees flashed aside the road. It was cloudy, I was hoping that the rain will not come. The feeling that I’ve been craving feeling up my vein, I love the feeling I have when I’m wandering around new places. We drove farther. The road was getting smaller and smaller. I like this place. Then it stopped on a small bus station, Tejmlov. There I was, on the starting point. My plan was not so bad, I knew where I wanted to go, but the problem was that I didn’t know where I was exactly on the map. I couldn’t coordinate my position. OMG, what a backpacker, LoL.. This is my walking plan, around 14,5 km to a place where I can camp. I was wondering around, lost and got a panic attack, what should I do. I didn’t have much time before dark. Then I asked the way to a kid who was playing there. But due to my broken language, I swapped the word red and black. Thanks God the black trail doesn’t exist. I found the way. 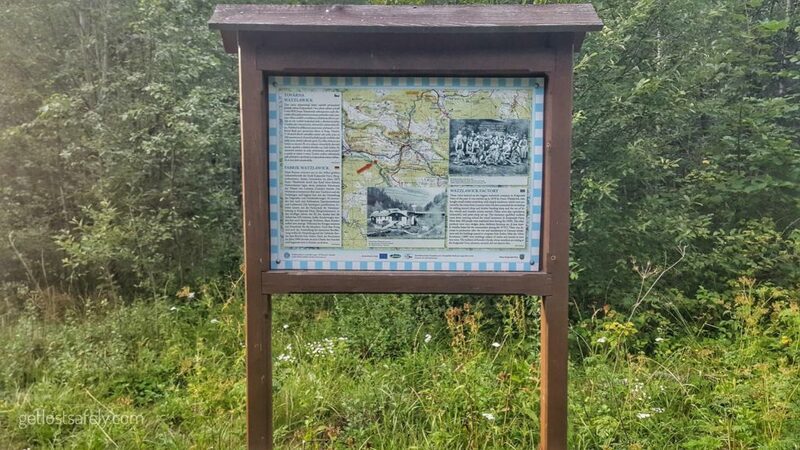 The hiking sign to Kašperk. The kids mom told me that I have to follow the main road and shouldn’t take another way. But the sign showed different direction, I decided to take the risk. It was a hard beginning though, I had to walk up to a hill. It was however a luck, the view on the top of the hill was magnificent. I knocked out that hill, relax… peace… beautiful… The view from the top of the hill was a jawdropping. 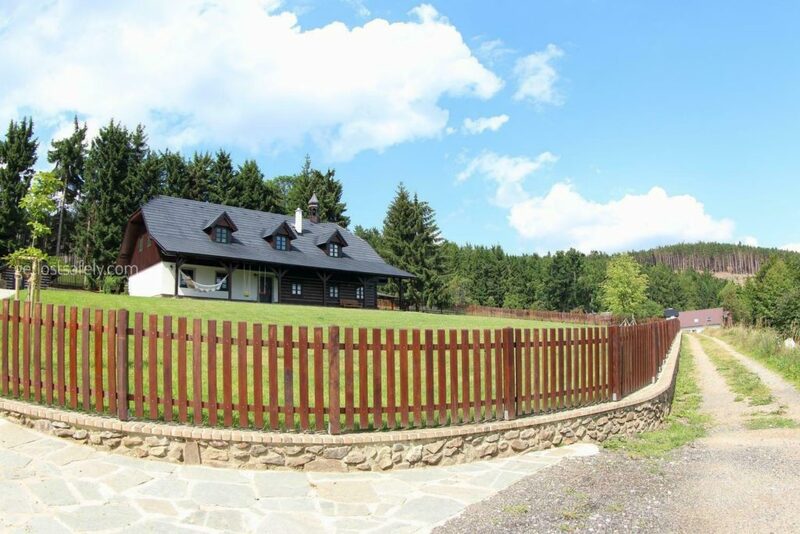 The name Krásná vyhlídka means the beautiful view. Well guys, if you saw the the view from up here, you’d be really thankful for the amazing life you have. I continue the trip through small cottages, some were even look like a hut. They really love it here, to travel to their weekend house and run away from the noise of a city. They also love to go explore and enjoy the beauty of nature, maybe that’s why I’m really happy and feel comfortable living among them. This is one of the hotspot on my journey. Amazing huge stony area, the name itself means The Imperial Rocks. I got lost on the red line, it was creepy. The trail through the red line to the Imperial Rocks was really heavy for a newbie like me. I nailed it and stopped here for my lunch. I met some of bikers and families with kids walking here. It was 6 o’clock in the evening, I was just in half of my way. 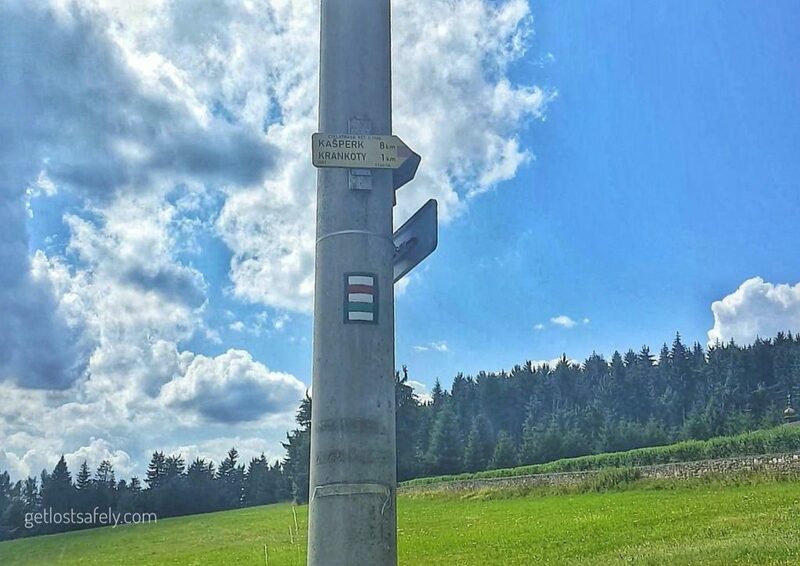 The road to Kašperské hory was a long boring way on the side of the road. I was really tired and had a long way to go. 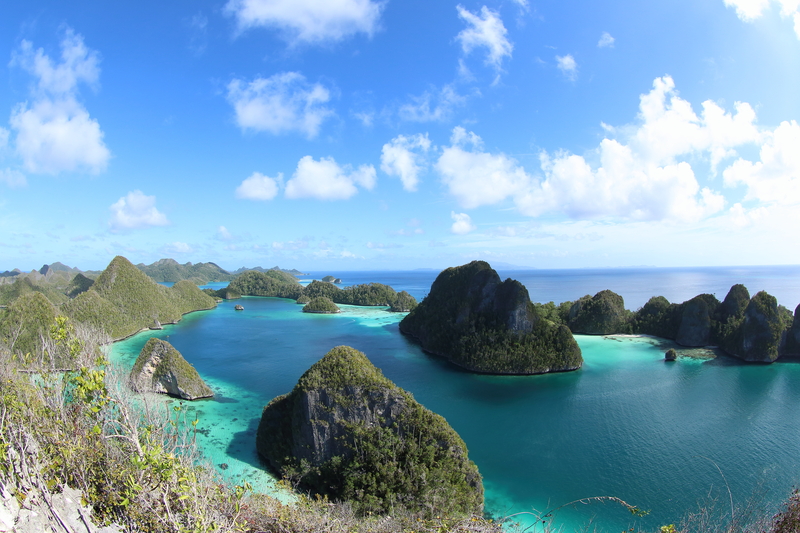 Then I remembered my home far away in Papua, this trip might not be a good idea. Then I calmed myself down and sat on a bench by the road, next to a farm. Somewhere in Czech forest to Kašperk. The sun was still up there, cows were in the grassland grazing happily, the view reminded me of my homeland. 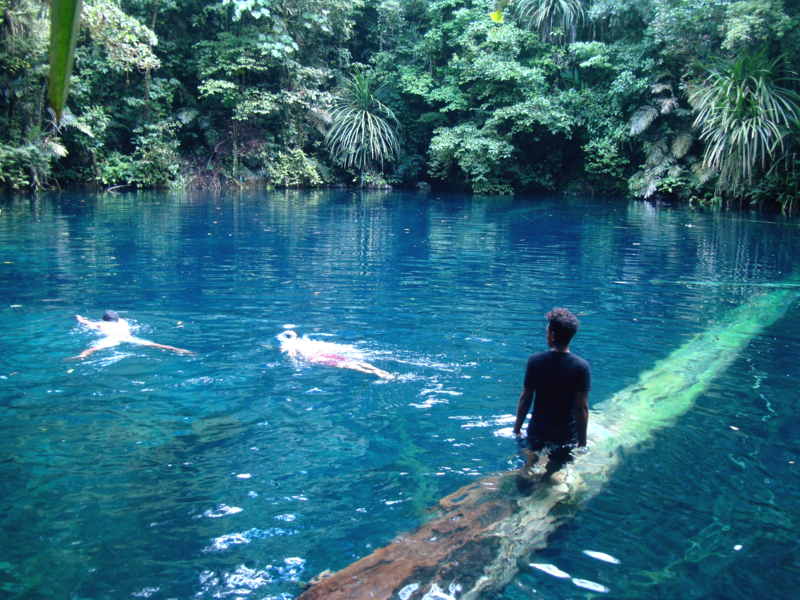 A transmigration area in the wilderness of Papua. Back home at 6 in the evening is not a good time to walk to the forest, lucky, I have more sun in Europe. My trekking map outside the terrain. The road was getting smaller to a path that looked like somehow abandoned. It’s too late to go back, I just had to keep going, I pushed my steps a head, heading to a place where I can set the tent up. I hoped I took a right decision and wouldn’t get lost. I heard the sound of engines mumbling, the sound of cars. Yeah, a reached the main road, meaning I was going on the right direction. I maintained the speed, then I saw a huge lavish building with lots of cars on its parking lot. 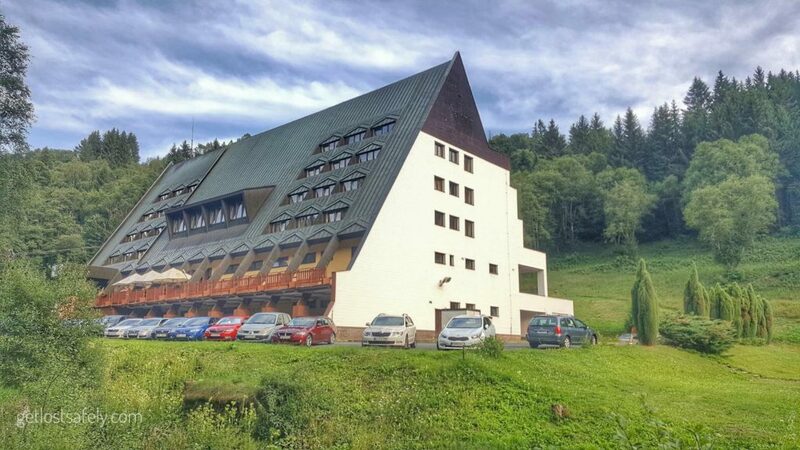 It was a hotel called Šumava Hotel. People were having dinner at the terrace. It looks nice. My ankle hurt a lot but I kept going. I walked slower, every steps was killing me, mostly my ankle. It was a really amazing time, I sometimes forget that I have to be happy with what I have. Doing this keeps reminding me of how amazing life is. It’s my way of celebrating my life. This time, again, I was walking aside the main road. On a juction I saw a house. 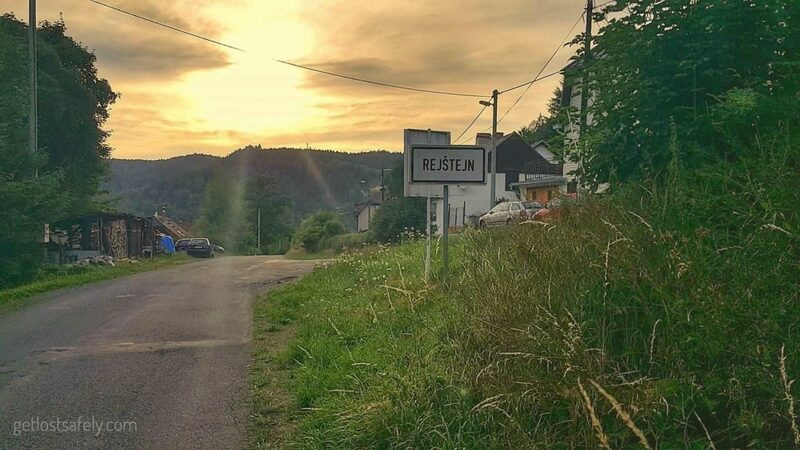 Hopefully it’s the Rejštejn Village, the place where I supposed to camp. 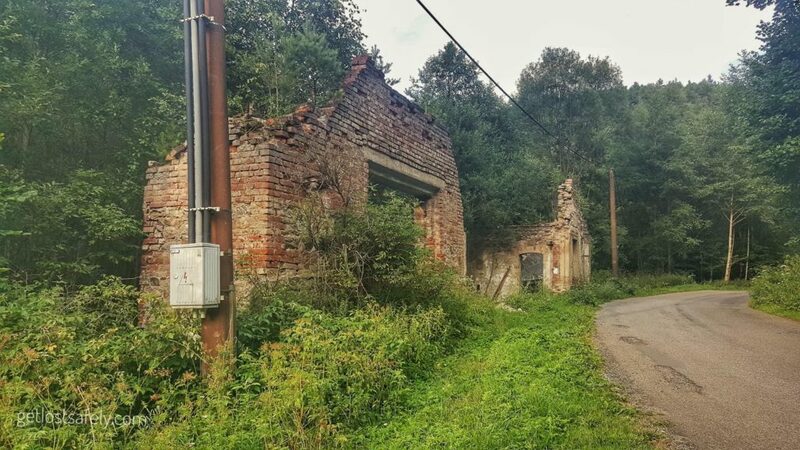 The ruins at the beginning of the buildings i consider as abandoned. As weird as I could imagine, nobody was there. 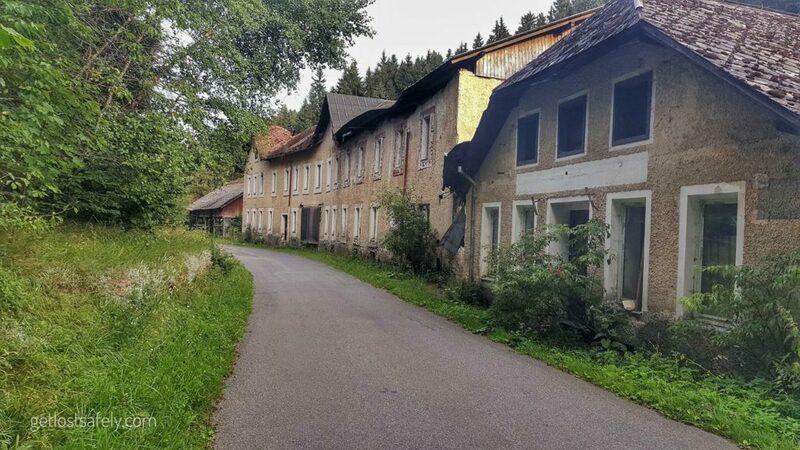 Those huge buildings there were abandoned, I had goosebumps when I walked through the village. It was so creepy as hell. Information board explaining the former factory. I passed the hideous village behind. The sun was setting right in front me, a good sign that I’m heading west. And once more, a long boring way was waiting for me. At least the sun guided me well. There was a farm by the road, looked like a vet was checking cows on the farm. “Just a bit more”, I said mentally. A car stopped by, the driver asked where I was going to and whether I was lost there. I mentioned the name of the village, “It’s just at the end of the road, keep going and safe travel”, he said. A dim small white board was just a view meters in front of me. It was one of the best feeling I’ve ever had, the dim board got clearer, I saw the name of my final destination, Rejštejn. I was happy, hungry, impatient to set my tent up and have my dinner. Then I crossed over a wooden bridge and found the campsite. I camped there. On the end of the campsite I made the tent. I threw away my backpack, light… free… Then I enjoyed the evening with spicy noodle for my dinner. The night came, I fell asleep and forgot about the world around me. In the end, I found out that the road I chose was just 200 m shorter than the hiking trail. Well at least I made it to Rejštejn. The 2nd day of my solo backpacking will be on the next story.